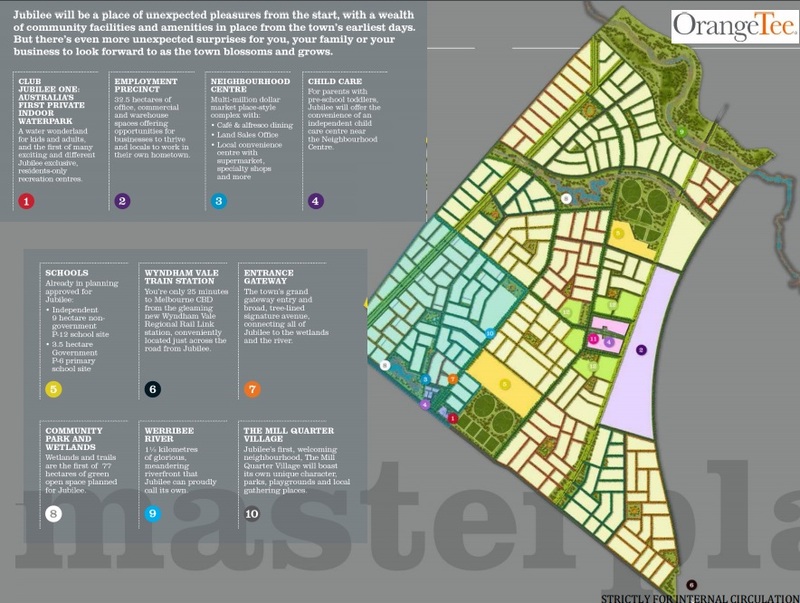 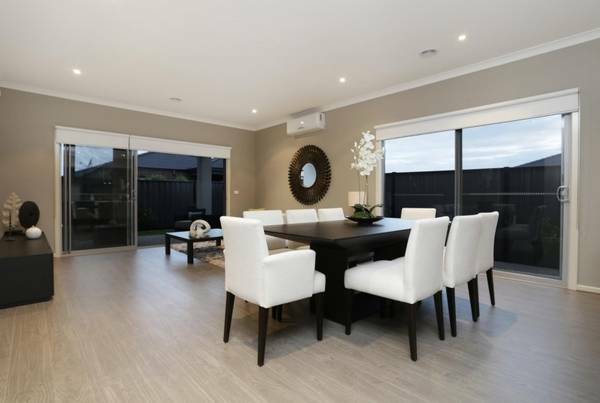 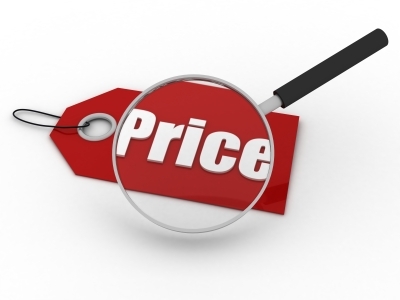 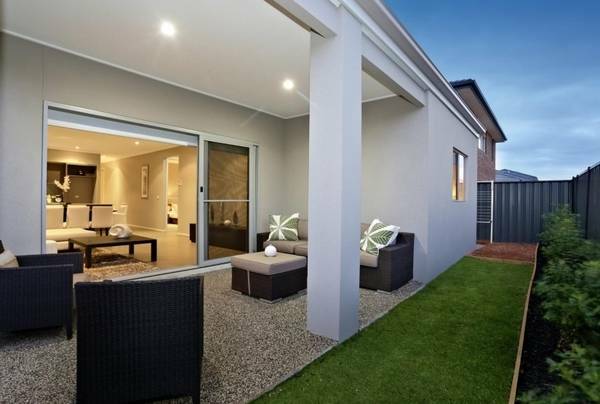 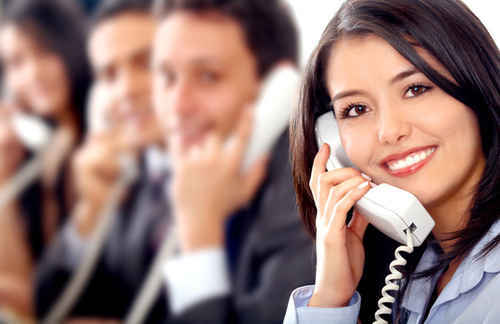 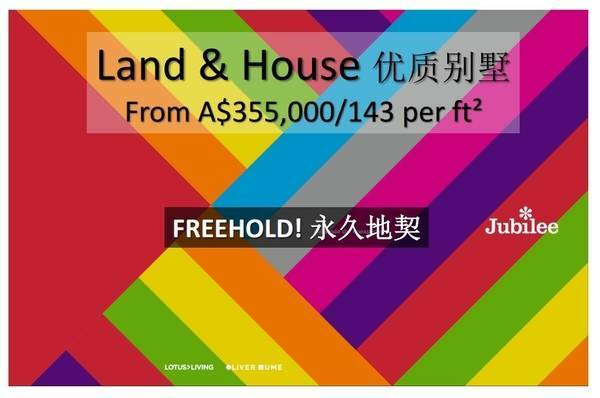 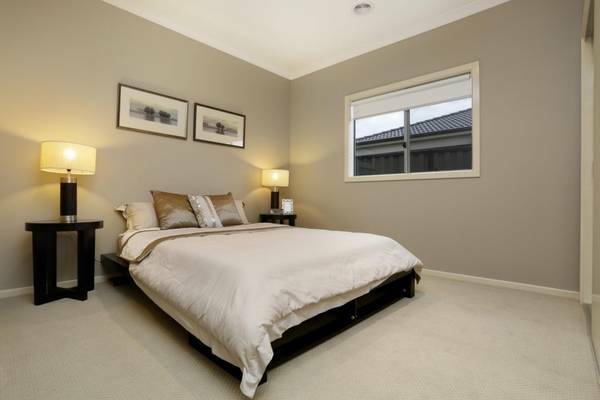 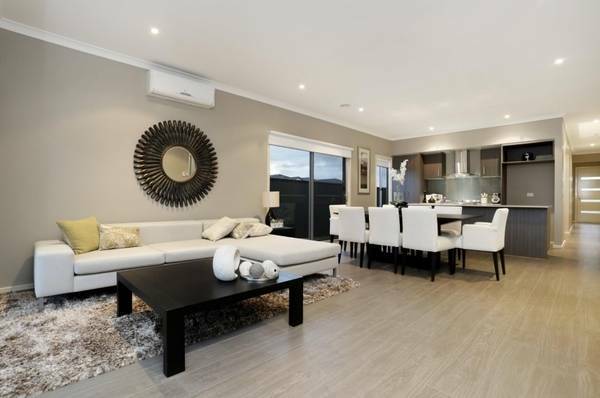 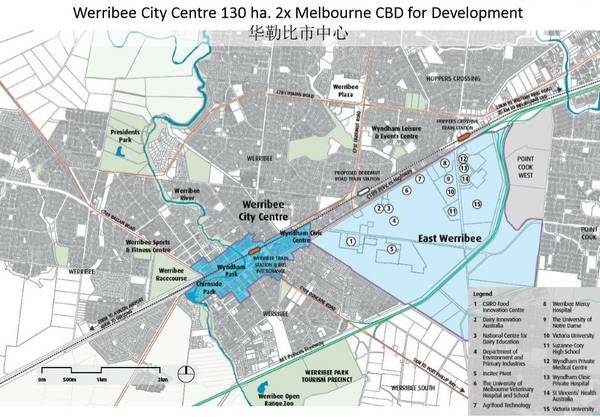 Jubilee Melbourne is the one for you to invest / own a land & house in Melbourne. 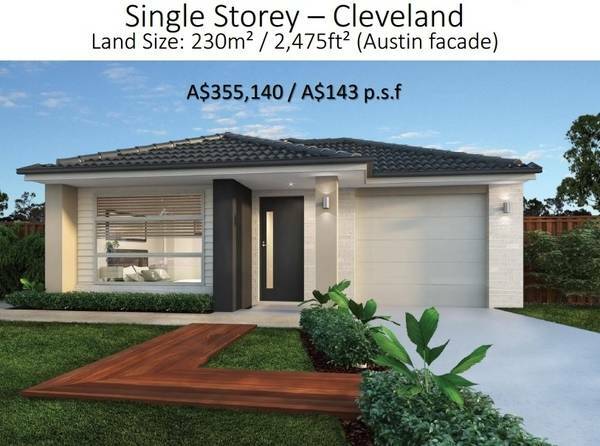 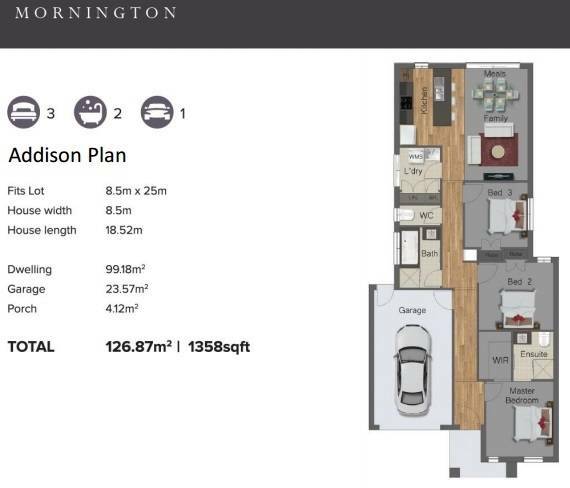 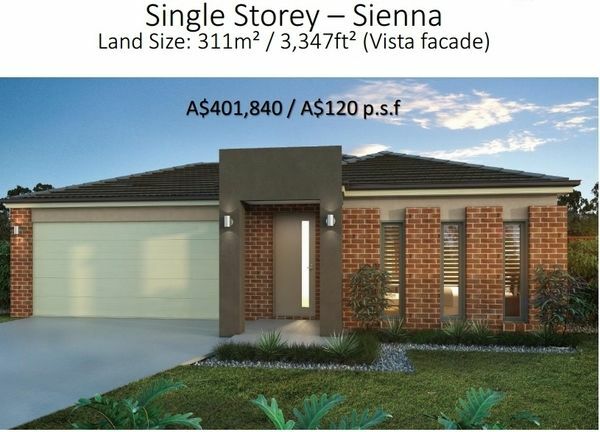 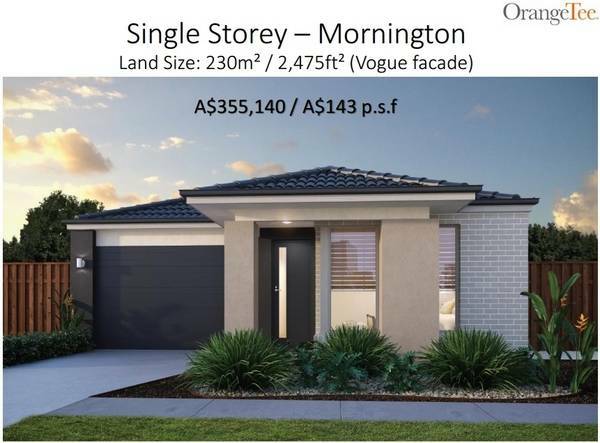 The single storey 3- Beds bungalow starts from A$355,000. 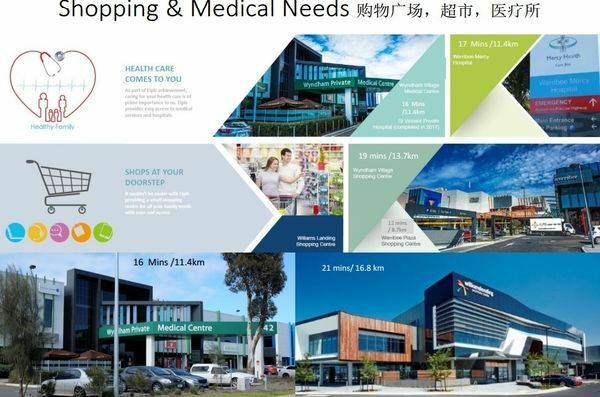 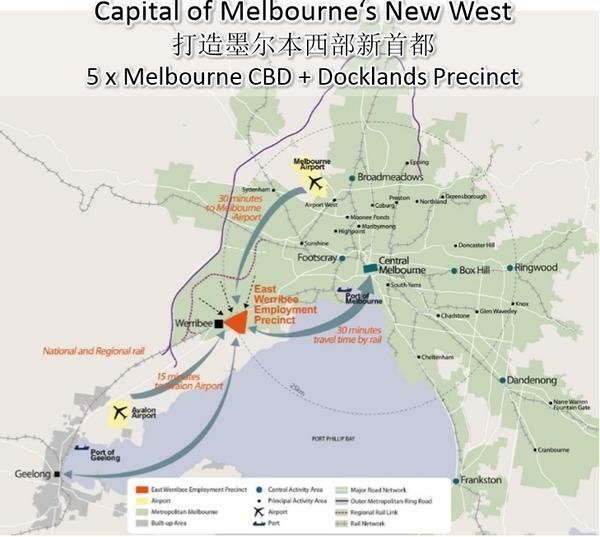 Jubilee Melbourne is located in the city Wyndham, the fastest growth city of West Melbourne region with a population now over 200,000. 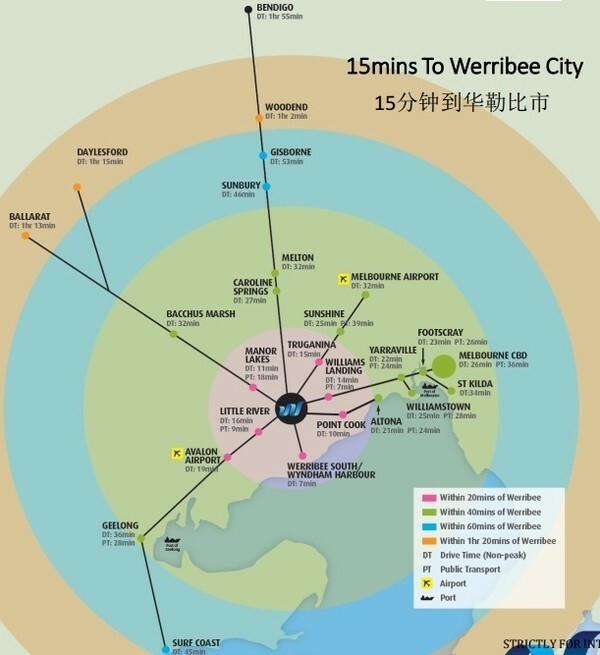 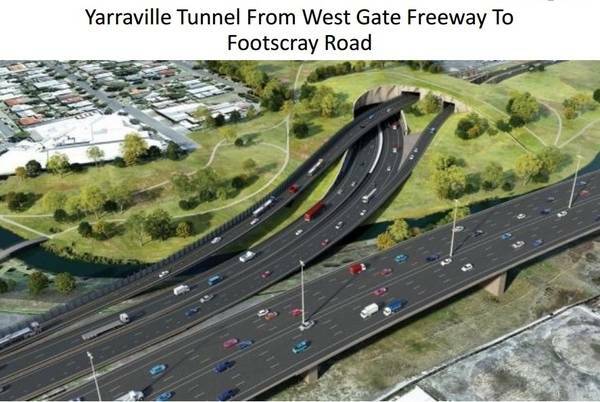 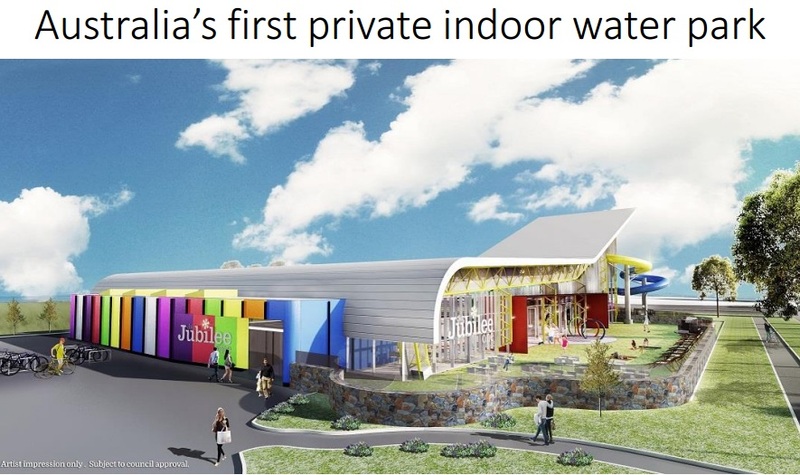 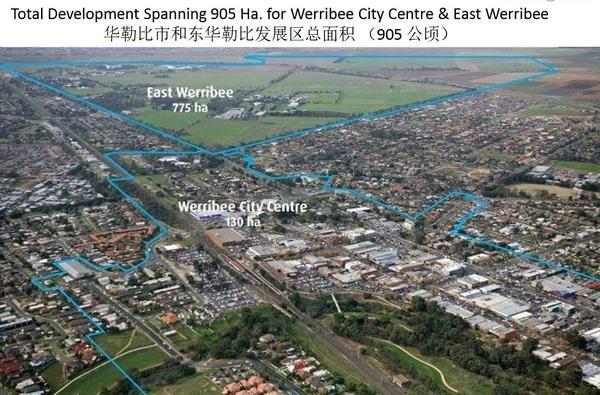 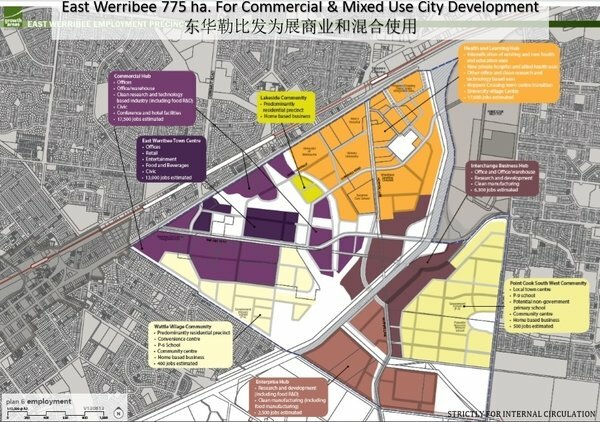 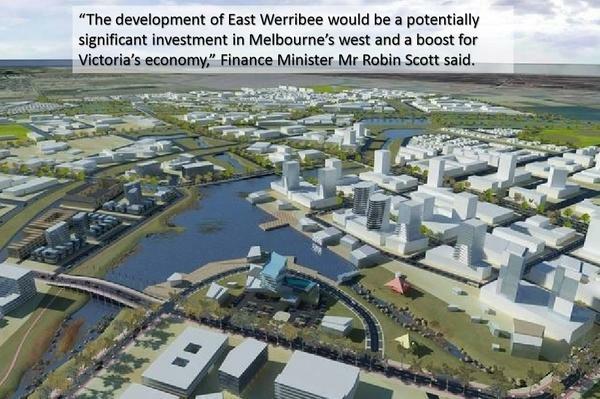 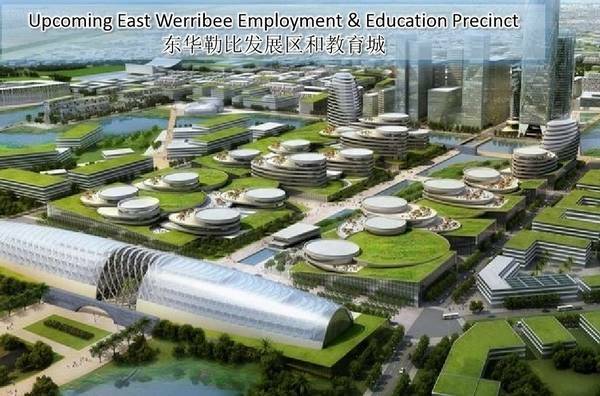 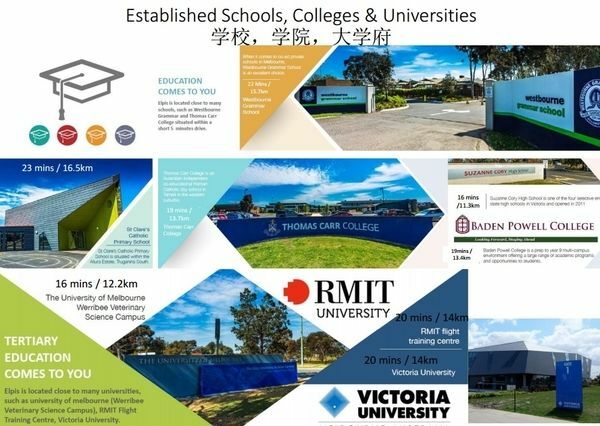 Jubilee Melbourne is well located in Wyndham Vale which is 30km / 30 mins drive to Melbourne CBD and with the Western distributor project once completed, it will further improve connectivity and cut travelling time by 20mins into CBD for West Melbourne residents. 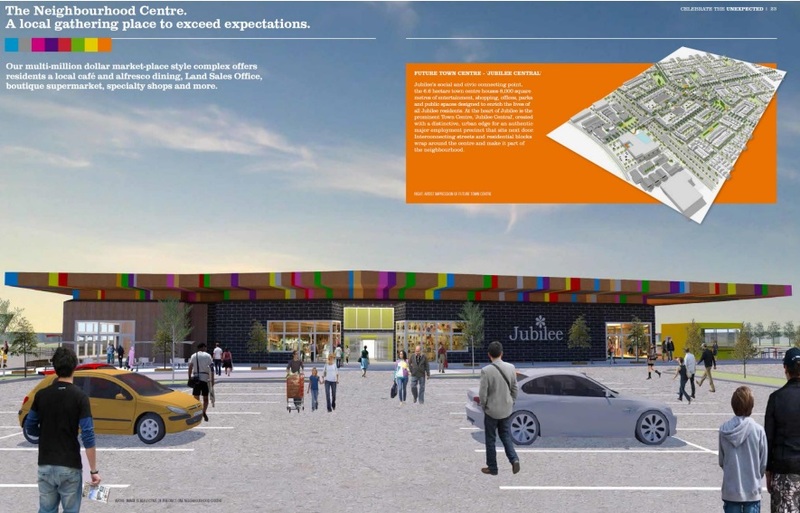 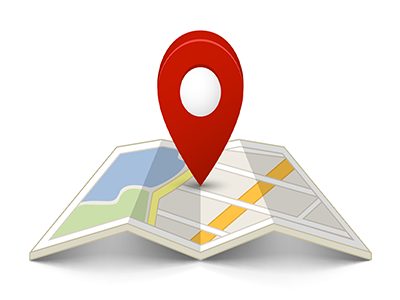 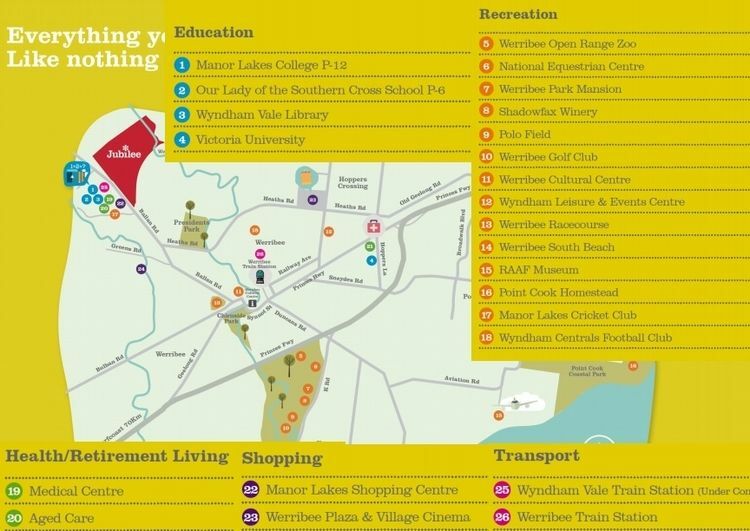 Jubilee is nearby to schools, universities, recreation centres & destinations, medical facilities & shopping centres. 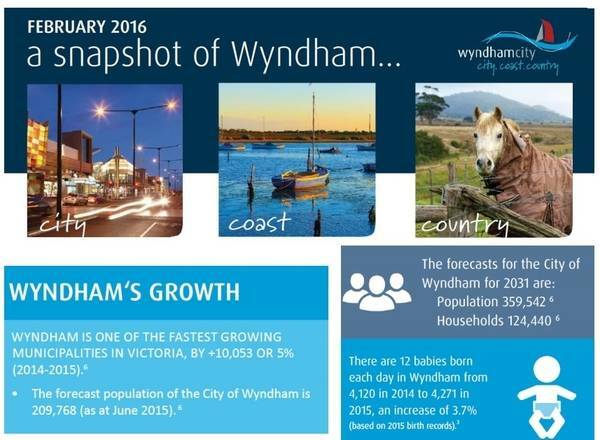 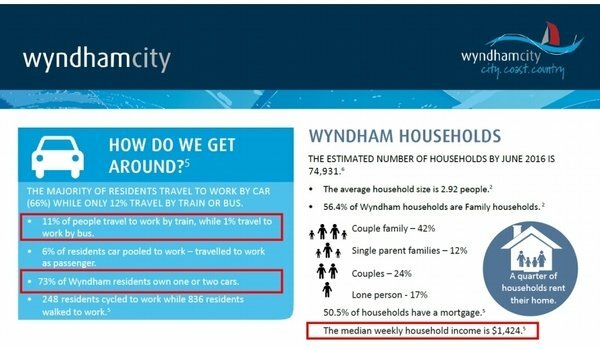 It is also just 1.2km / 9mins drive to Wyndham Vale train station which is important as 12% of the Wyndham residents commute by train to CBD. 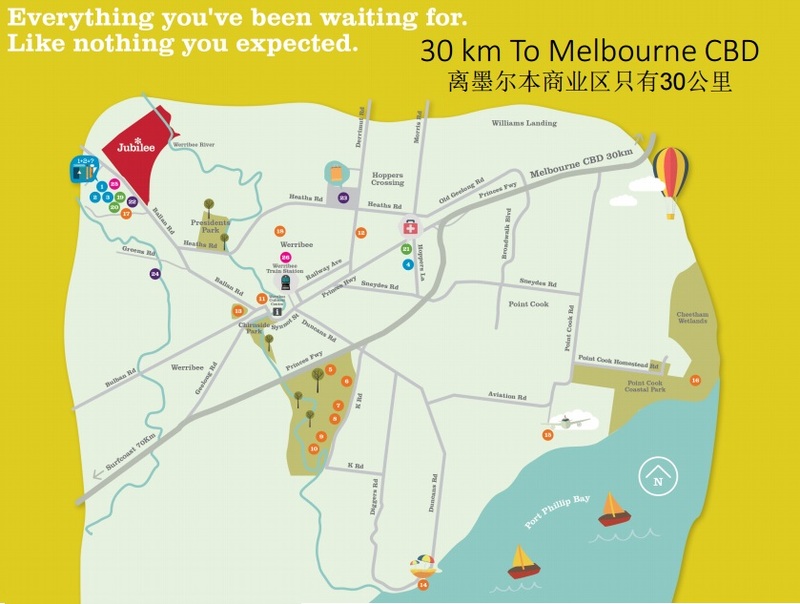 Jubilee Melbourne is nearby to schools, universities, recreation centres & destinations, medical facilities & shopping centres. 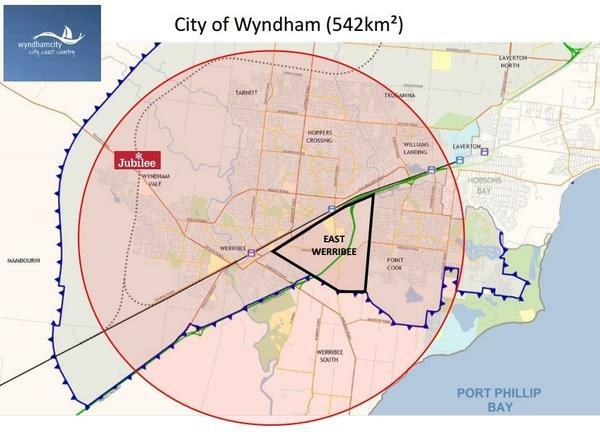 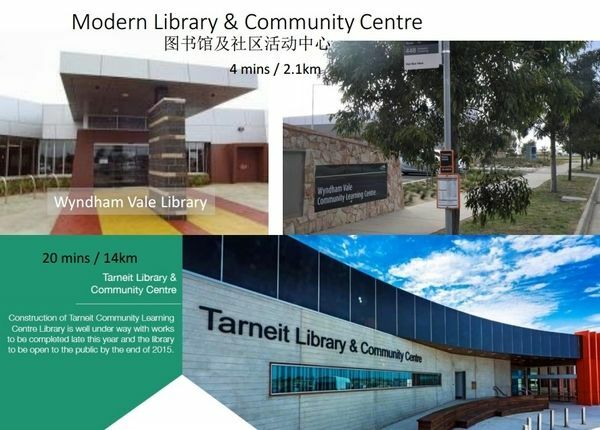 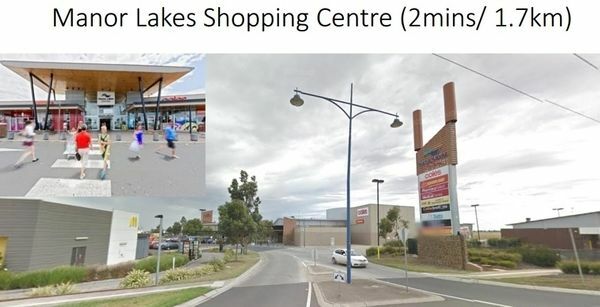 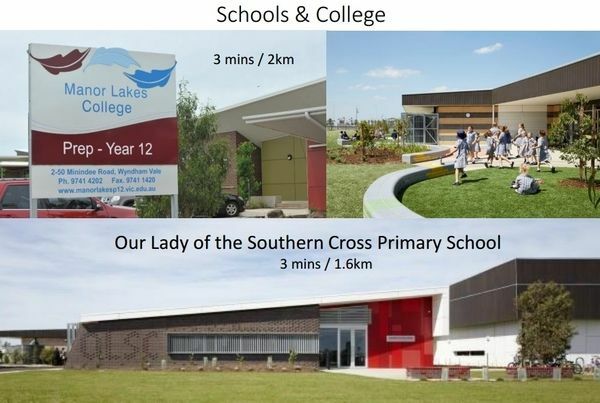 It is also just 1.2km / 9mins drive to Wyndham Vale train station which is important as 12% of the Wyndham residents commute by train to different part of Melbourne cities. 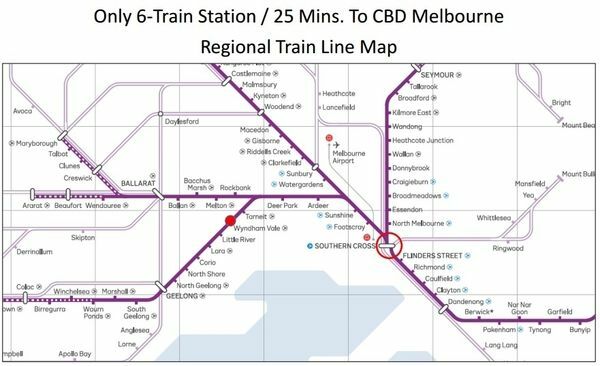 It takes only 25mins and 6 train stations from Wyndham Vale to CBD with the newly completed regional rail link. 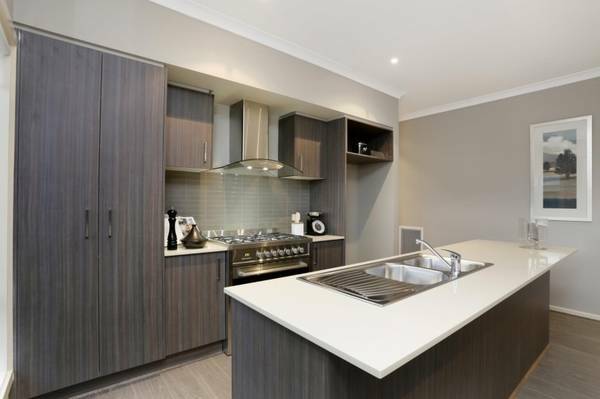 You can already visualize the value and the convenient you or your tenant will get to enjoy staying in Jubilee Melbourne. 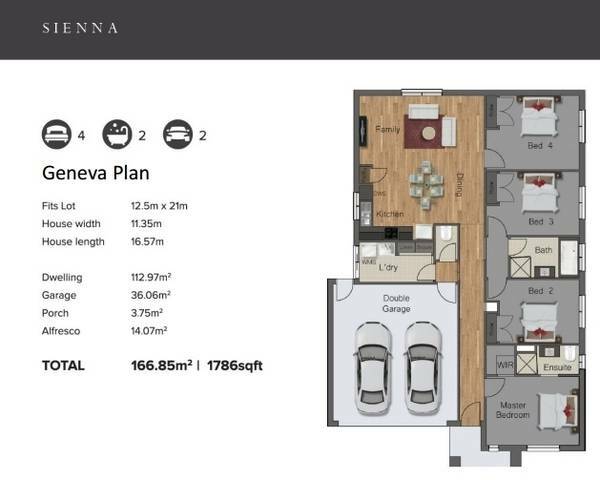 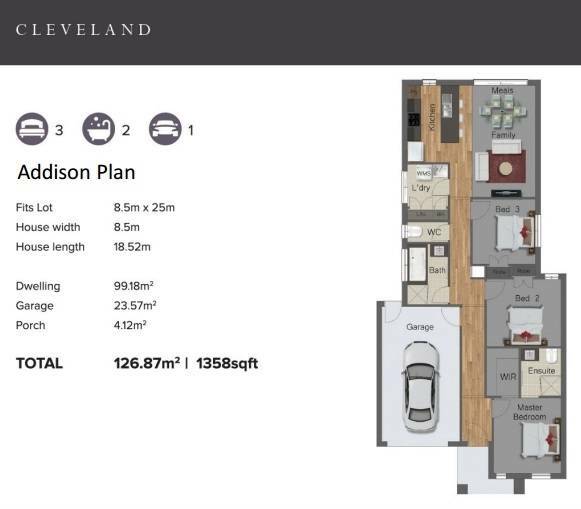 Click for FLOOR PLAN here.